I don't know about you, but I'm ready for spring! 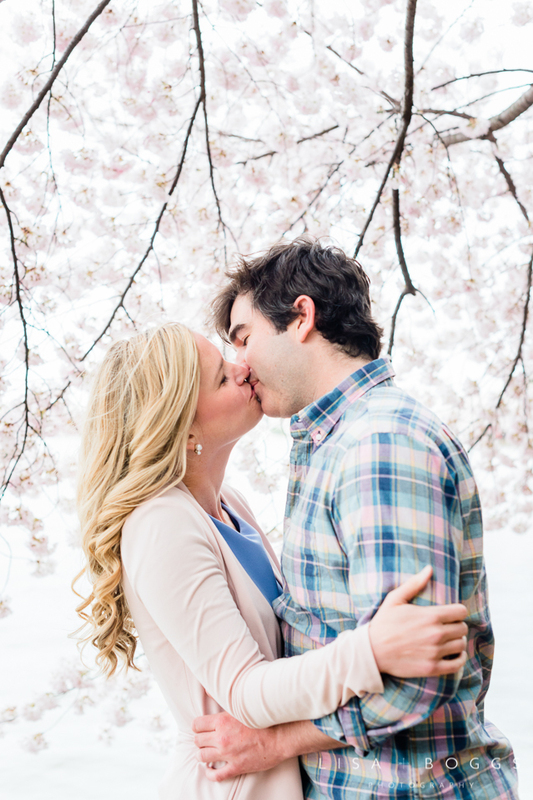 So today I'm sharing Nicole's cherry blossom bridal portraits from this past spring to get everyone ready for warm weather and flowering blooms! 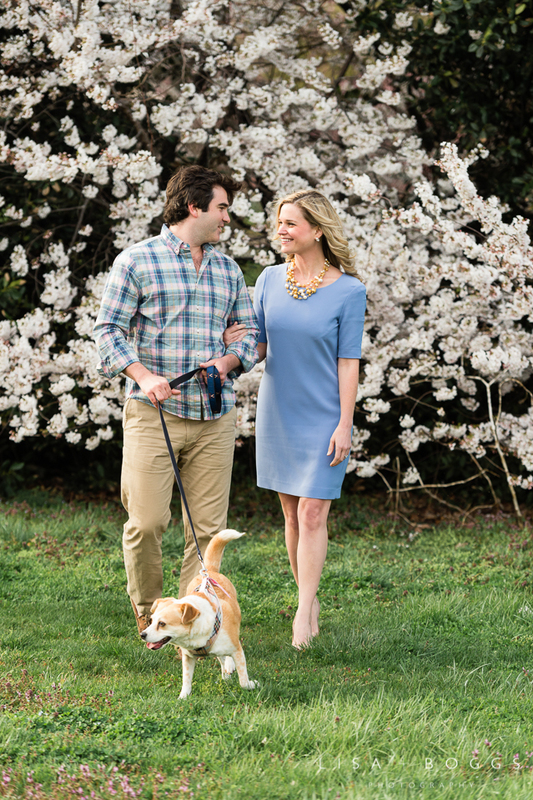 Nicole and I both are a little obsessed with cherry blossoms. 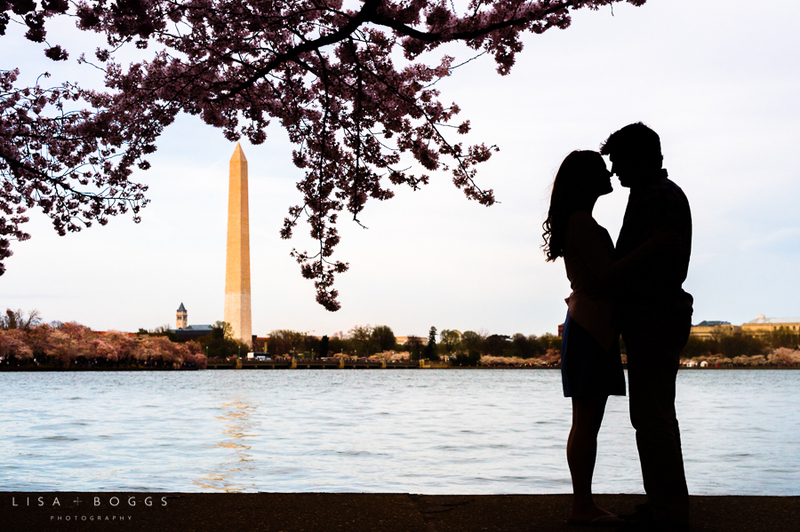 If you were around this past spring, you may recall that the Yoshino cherry trees in Washington, DC's Tidal Basin were a little lackluster! However, both Nicole and I know that right after the Yoshino trees bloom come the Kwanzan cherry blossoms (think a little more pink and extra puffy)! So, we knew we had to at least check out the Kwanzan cherry trees on Hains Point in East Potomac Park. We were thrilled to discover that the Kwanzan blossoms looked amazing! So Nicole turned on her inner model in her Berta bridal gown and Jimmy Choo shoes and we got some stunning photos of her. Yay! I hope you love these photos as much as I do! I'm so excited to share photos from a recent family shoot I did with the adorable Woltering family! This is such a special portrait session for me because Astrid (the gorgeous mamacita in the pale pink skirt) is a dear photographer friend of mine. She's one of the kindest, most hilarious, no-nonsense and talented gals I know and I'm so lucky to call her my friend. Her husband and daughter are just as adorable as she is, and with a new Woltering on the way in just a few short months, I leapt at the opportunity to photograph all of them together! Astrid, Chris and Charlotte were such a joy to photograph. Charlotte is one of the cutest, most energetic toddlers around and is officially obsessed with picking flowers, hugging/kissing trees and running everywhere instead of taking photos! However, she did a fantastic job of interacting with her mom and dad (and even hammed it up for a few photographs in between her activities!). My favorite photos are definitely of the these three laughing and loving on one another. I love this family to pieces and cannot wait for the next baby Woltering to come along! Thank you Astrid, Chris and Charlotte for spending an evening with me and letting me photograph your beautiful faces! Love you to the moon and back! Credit to Astrid for this next photo! Credit to Astrid for grabbing the camera from me to document the meltdown. I know Charlotte's crying, but she's just so cute! Aaaaand loungefest after the shoot. Love it! Jessica, Brian and Saniya's Family Engagement Session at the National Zoo and Cathedral! 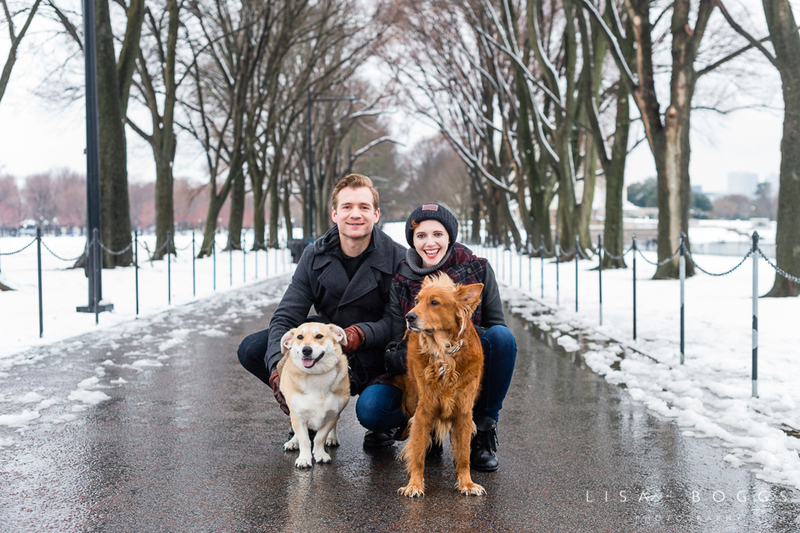 When I first met with Jessica, I was incredibly excited about the idea of working with she and her fiancé, Brian. They're a very sweet, laid-back couple, who dress crazy well and have a ton of personality! Jessica mentioned in our meeting that if we were going to do an engagement session, it would most definitely include Saniya, Brian's daughter. For me, I thought this was an awesome direction to take an engagement session. Sure, I'd snap a few of Jessica and Brian by themselves, but I absolutely loved the idea of including Saniya and having that family dynamic in their engagement photos. I promise you, it made these photos even better! We started our session out at the National Zoo, because Jessica and Brian had indicated the three of them went their at Christmastime and had a blast. I thought it was a fabulous idea and off we went traipsing about the zoo! I have to admit, it was hard for me to focus on taking some family photos at times because I am a huge animal lover and wanted to "ooh" and "aah" at the animals along with Jessica, Brian and Saniya. But I had to make sure to interact and pose with these three cuties as much as possible to get some stellar photos! My favorites at the zoo are definitely the laughing photos where Jessica, Brian and Saniya are being total goofballs. The latter part of our session took place at the Bishops Garden at the National Cathedral, and Jessica, Brian and Saniya made sure to change into some really gorgeous outfits for a more formal look (I admittedly was a little obsessed with Jessica's orange vintage fascinator)! I was really excited that the garden was pretty lush and green, and even had a few tree blossoms to work with (our session was before the summer weather had set in!). My favorite photo from the garden was of Brian and Jessica in the stone doorway about to kiss, but runners up of course are going to be the photos with the three of them acting sassy and hilarious. These three really know how to turn out some gorgeous photos, and I'm sure you understand how hard it was for me to narrow them down! Jessica, Brian and Saniya, thank you so much for joining me in such a fun family engagement session! I can't wait for the wedding later this year so I can photograph your smiling faces again! Enjoy! Christin's Snowy Trash the Dress Session! Dyanne and Steven's Mad Men Engagement Session! A few weeks ago I had the pleasure of meeting up with Dyanne and Steven for their awesome Mad Men engagement session at the Hilton McLean Tysons Corner! Eeeeeeeeeeek! When I first met with Dyanne and Steven to learn about their wedding, I knew I wanted to work with them because they're two of the nicest people ever. However, as they talked further about their plans for an engagement session, specifically a Mad Men inspired engagement session, I was completely hooked. We all sat there and talked about the show for a while, and Dyanne cited a bunch of still photos from the show that she was drawing inspiration from. My heart fluttered in anticipation to hear back from them about working together, and when they emailed to book me, I was elated! On the day of the shoot, Dyanne brought all of the inspiration photos we had talked about. Some were still shots from the show, some were from stylized photo sessions of the actors, and some were other stylized shoots that had that Mad Men look. The shots were incredible, and I was really excited to recreate/reinterpret them! We had a blast working in the Hilton McLean Tysons Corner, specifically in one of their suites, their restaurant, Härth, and their stunning lobby bar. The minimalist look of the hotel really worked with the glitz and glamour of the outfits that Dyanne and Steven wore! And let me just say, I had about 50 audible gasps when it came to how stunning Dyanne looked in her Mad Men dresses (all from Rent the Runway). TO DIE FOR! I hope you enjoy these photos from the shoot! Thanks so much for looking! Happy Thanksgiving from Lisa Boggs Photography! Hope everyone has a fun and safe Thanksgiving! Deanna and Joe's Fall Engagement Session in Riverbend Park! I was really excited to photograph Deanna and Joe for a number of reasons, but reason number one was because we did the engagement session in my neck-of-the-woods at Riverbend Park! You've probably seen me post on Riverbend Park before. It's a lovely park on the calmer side of the Potomac, just northwest of Great Falls Park. Deanna and Joe really like hiking in Great Falls Park, so I suggested Riverbend as a nice alternative because it's less-traveled and we could find some great spots without a ton of people around. Reason number two that I was excited to photography Deanna and Joe is that they're just the sweetest couple everrrrrrrrr. They have that kind of love that's simple and unspoken. And it's fun to see unfold in photographs! The scenery and lighting was just perfect for what I consider to be a quiet, but emotionally moving shoot. Deanna and Joe would just exchange these looks and touches that made your heart melt. We should only be so lucky to experience these moments ourselves! But I was just so pleased with how the photos turned out, as I really felt the photographs emulated who Deanna and Joe are as a couple. Aura and John's River Farm Engagement Session! It's the beginning of a busy engagement session season, so we're kicking off the blog with this gorgeous couple, Aura and John! Aura contacted me the week after they got engaged about doing some photographs, and I had to admire her for being completely on top of the ball! She describes herself as a type A personality who is a girlie girl, and loves clothing, shopping, decorating and Bravo TV shows (any girl who likes Bravo TV is cool in my book!). She described John as a guys guy, who loves golf, football and music. They're both hoping to get married in San Diego (as John lived there for quite a few years) as it fits their mutual love for amazing weather and the water. But for the engagement photos, Aura and John wanted to stay local and wanted a gorgeous backdrop for some photos. So I though the perfect place would be River Farm in Alexandria! River Farm is a spectacular venue. I've shot quite a few weddings there, and I love it every time I'm there! It's owned by the American Horticulture Society and has lush greenery and flowers in bloom at most times of the year. Aura, John and I walked around the main garden quite a bit at first for some shots of the two of them just hanging out and looking amazing. I didn't have to give them too much direction, as John really loved being playful with Aura and made her laugh so much. Some of my favorite shots though are of the two of them goofing off (which, yes, I encouraged) on top of a random platform in the garden (which I imagine has some type of old well underneath or something). Anyway, always remember when you discover a random platform in a garden it's the perfect time for...dancing! So I made them practice some dancing for their wedding which was hilarious to watch and photograph, but the photos turned out great. Now, to incorporate more of who Aura and John are, I decided to do some shots of Aura with shopping bags (remember, she likes clothing and shopping!) and some shots of John with his golf clubs (remember, he loves golf!). First up, Aura and John carried some shopping bags as if they had just returned from a shopping trip where Aura had made some lovely purchases. John really committed to the part of being the hilarious boyfriend who didn't really want to carry the bags, but did it out of love for his gal anyway. So cute! Next up was John though, who really loved posing with his golf bag and clubs! Aura graciously posed as his caddie and assisted him as best she could on the golf course (eh hem, lawn of the farm). John just really shined during these shots, and I really love the series of him tossing a golf ball around and then teaching Aura how to golf. I also brought along a croquet set for the fun couple to play along with, as the lawn at River Farm just begs for a croquet set to be a permanent fixture there. As you can see by their croquet game faces, I wouldn't mess around with them. In the end, Aura (with her awesome game face and mad skillz) beat John at croquet, but it wasn't a real game anyway so everyone was a winner. Yay! We ended our session with a few final shots of the happy couple at the house and then hanging out in some cozy rocking chairs. Aura and John, thank you so much for letting me photograph your engagement photos! I had a blast and I would do it again in a heartbeat! Enjoy! 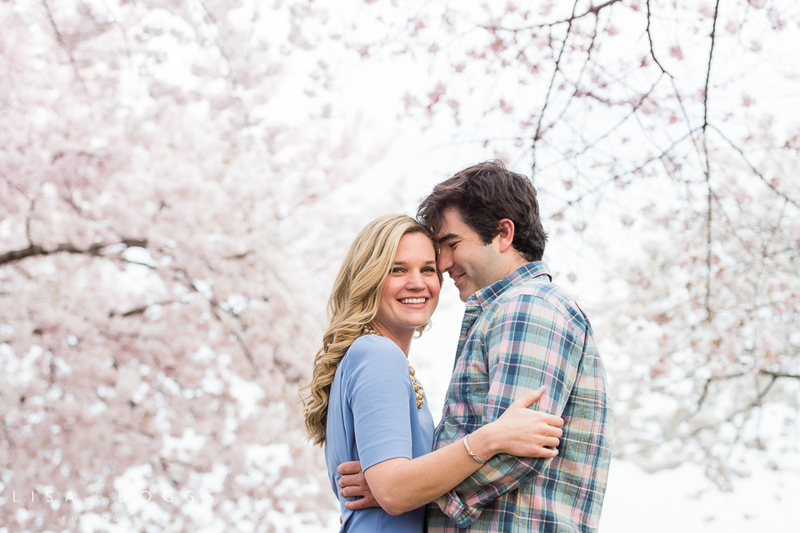 Megan and Tim's After-Wedding Portrait Session at Brookside Gardens! I think I've officially discovered something from Megan and Tim's portrait session, and that is that every bride loves to twirl in her wedding dress. And let's be honest, not only does she feel awesome while she's twirling, but she looks awesome...and so does the dress for that matter! Well, you'll get to see Megan twirl a couple of times in the photos below that I took from our session at Brookside Gardens! Megan connected with me a few months back with the idea of taking some portraits taken, because their wedding photographer was very photojournalistic at their event. So there are very few portraits of Megan and Tim alone and very few shots that really showcase the dress as well. I told her I was completely game and met up with them just a few weeks ago to have some fun! Brookside Gardens is a really stunning place for portraits. I had never been there, but I most definitely will be back, if anything just to roam around and take in all of the scenery! I really felt like it combined elements I like from Meadowlark Gardens in Vienna, along with stonework similar to Dumbarton Oaks in Georgetown. Although it was incredibly hot the evening Megan, Tim and I set out on our adventure, you can't really even tell! Megan and Tim looked awesome, and it was such a pleasure getting to walk around, take their photos, and get to know them. I was really pleased with the photographs we got, and I hope you enjoy them! 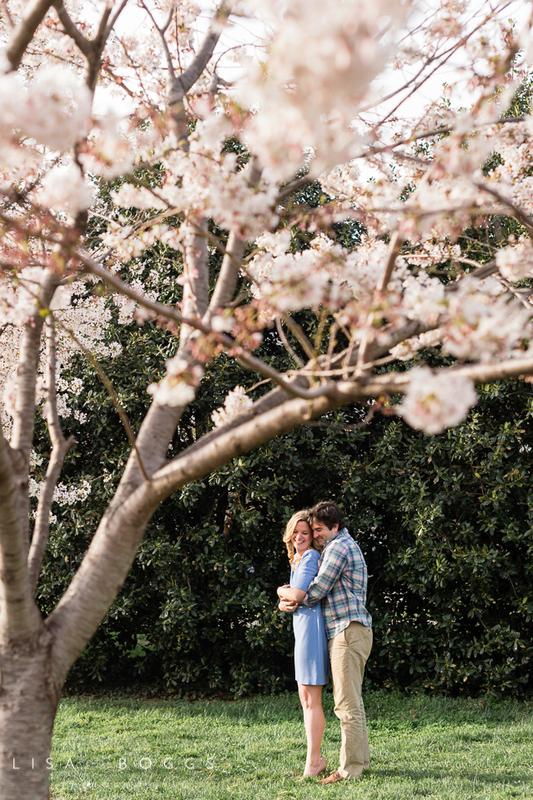 Madalyn and Thomas' Old Town Alexandria Engagement Session! I love a couple with ideas. When a couple knows exactly what they want out of their engagement session it makes my job so much easier! 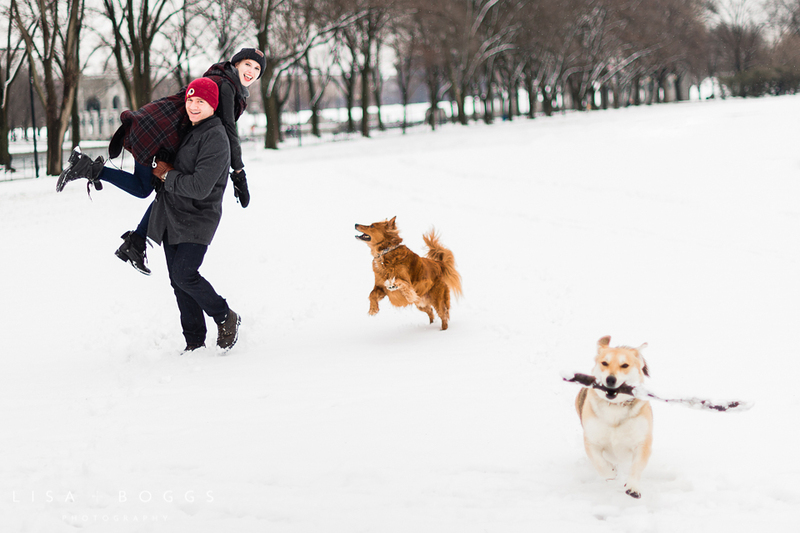 And Madalyn and Thomas were just that couple who made my life (and their engagement session) so much better! I met Madalyn and Thomas down in Old Town for their engagement session, and got to meet their awesome dog Bentley as well! For Madalyn and Thomas' initial photos they wanted to be in formal wear (with Thomas in his Army uniform). They first wanted to create a scene where Madalyn is reading one of Thomas' letters he sent from overseas and then he walks up as if he just arrived back to the US. I really dug the idea and I thought they did a great job of portraying that kind of incredible glee that occurs when you get to see someone you've missed for so long! We then took a few photos of them walking around and hanging out with Bentley (who responded very well when I made monkey noises to get him to look at me!). And, of course, we got some great shots with Thomas' dog tags and also ones he gifted to Madalyn. I just loved the his and her tags that said "No Matter the Distance" and "No Matter How Far." Swoon! Thanks so much for a wonderful shoot, Madalyn and Thomas! Enjoy! As many of you know, my husband, Mike, is a musician. And being married to a musician means I know several musicians. It also means I get to photograph these musicians (yay!). Enter: The NRI's! If you saw my blog post on We Were Pirates (my husbands band) then you'll likely recognize Mr. Gabe Fry in these band photos, as he's in The NRI's as well! In fact, this shoot for their new CD came directly from his brain, as this amazing wall (the location of our shoot) is not far from his house! I went against my better judgement and let Gabe talk me into doing these shots in crazy bright sunlight. I understood he wanted everything to look bright and punchy, but I knew everyone would be Squinty McGee's! But somehow, someway, we made it work and I think the photos turned out great. The original idea was to make the spray painted "The" on the wall part of the band name "The NRI's," so in my head I was trying to create a composition where there was a little space for "NRI's" to go in the design of their CD/promotional materials. In the end, the "The" got nixed, but I still think it turned out great due to Jesse's design skillz (Jesse being another band member). Tonight is The NRI's CD release show at the Red Palace, and I cannot wait to see how this photo looks on their CD's and posters! So if you don't have too much going on this evening, you can come out and hear them play awesome music and get to shake the hand of the photographer who took their photos. ME! Ha ha ha! No, but really, you should come out to their show. Doors open at 8:30 and show to follow at 9:30! So, without further ado, meet Gabe, Nayan, Shawn, Jesse, Audrey and Melanie of The NRI's. Here's the progression of the "winning photo!" And below are some out-takes. Aren't they a lovely group? They used some of these below shadows shots for promotional purposes too. Whee! I hope you enjoyed these and I hope to see everyone at the show tonight! Yay!